This is one of the saddest posts I've written. I feel that American Christianity is under attack and we are losing the culture war; at least in the public forum. The election outcome seems to have signaled a full-on affront against Christian expression in this country, and what better target than Christmas? Atheistic organizations are emboldened with the passage of un-Christian Propositions on ballots in every state, and they are making it quite evident that they are waging war against Christmas. 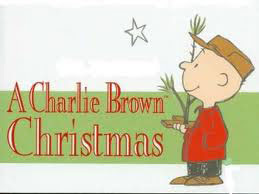 Make no mistake ---- there's a bulls-eye on this Christian holiday. • In 2011, there were 13 individuals that entered the race for the 21 spaces at the Santa Monica, California Palisades Park Christmas exhibition. The unusually high demand for spots, especially by atheists, sparked Santa Monica’s City Hall to implement a random lottery system to determine who would have access to the spots. The lottery system that was used gave atheists a majority of the available spaces. That process left the Santa Monica Nativity Committee with only two spaces on which they could put up only three of the usual 14 scenes. This year, in 2012, Santa Monica officials gave up on Christmas. 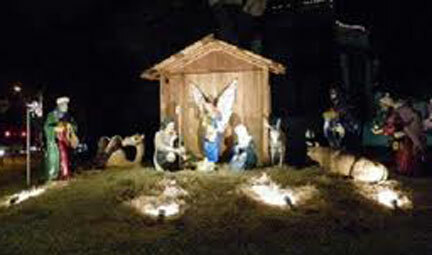 City officials didn’t want to go through a battle again about the nativity scene and caved to the Godless groups. For the first time in 60 years Sanata Monica will not have a nativity scene diorama for Christmas. • The village of Alsip, Illinois, is discontinuing its annual holiday tradition after facing threats of a lawsuit from the Freedom From Religion Foundation (FFRF), an atheist activist non-profit. Every year, the community erects a 19-foot cross on its local water tower to commemorate the holiday season — a tradition that has been in place since the 1970s. Once again, a costly legal battle was cited by the Mayor of Alsip as the reason his town would not fight intimidation. Heard enough? And I'm sure you can hear the usual argument in the background ... "separation of church and state." But I have a question. If these groups are so against religion being expressed in public, why are there no calls against such Islamic expressions as the Call to Daily Prayer; or outcries against displays of Buddha, Mohammed, Gaia or Isis on T-shirts? Why is it only the Christian expressions of their God that come under fire? Atheists claim there is no "War on Christmas", but the evidence seems overwhelming. Just minutes later, Henderson County deputies took the banner down, while 5,000 people crowded the town square to support the placement of the Nativity Scene. Soon after, the Freedom From Religion Foundation started fighting to put it back up. A formal request to display the banner was submitted to the county earlier this year. This week, that request was officially denied by Henderson County Judge Richard Sanders. In a matter of a few weeks, the Nativity scene display will once again sit on the courthouse lawn where pumpkins and hay bales are now. The other three corners of the courthouse lawn will adorn secular decor, but the FFRF says Henderson County is still violating the Constitution. I would submit to Ms. Gaylor that the presence of a Nativity Scene is not a mandate to worship Christ (everyone is invited --- it is up to each individual to respond or not). I would also like to suggest that it is precisely because the message of the Savior has been removed from our public square that our nation is in the mess it's in. But maybe that's just me .... and the good people of Henderson County, Texas. The FFRF will keep fighting, and I pray that good officials like Judge Sanders will continue to let the Constitution and the Freedom of Religion be the law of the land. 1 Corinthians 7:35 "I am saying this for your own good, not to restrict you, but that you may live in a right way in undivided devotion to the Lord."